California has always had an amazing culinary scene, thanks largely to a large bounty of producers that lead to creative and intrepid chefs. If you love food but are still a little cautious when it comes to cooking, you can find many seasoned chefs willing to supply with tricks and tools of the trade. You can find cooking classes that are perfect for meeting new people or spending a date night or host a cooking class for friends in your own home. You can even take classes at some of the country’s top culinary schools and go home armed with recipes. Take a look at 10 of the best cooking classes in California. The Culinary Institute of America certifies and trains budding young chefs wanting to go pro. But you don’t have to aspire to working in a kitchen to master your home kitchen. CIA offers one-off and short cooking classes so that you can chop like your favorite TV chef or bake bread from scratch, whatever your interest. Silverado Cooking School uses the best products from the Napa Valley and show you how to transform them into home-cooked meals. Spend a few hours with trained professionals learning how to find your way around a kitchen. You can even bring friends with you and host a private event designed just for your group. Cooking with Julie is one of the most popular ways to spend time in the Napa Valley. Using local products and special visits to farmer’s markets, Cooking with Julie classes offer flexibility and time to learn everything about cooking from shopping tips to preparing and enjoying a full meal. Le Cordon Bleu may be one of the most famous cooking schools in the world and the Pasadena location offers the opportunity to train like a chef, just for one class. Take a workshop that interests, whether it’s an international cuisine or making a decadent dessert and learn how to cook like a pro. Chef Tech offers cooking classes for all ages, whether your kid is interested in making meals for the family or you want your teen to learn life skills before heading off to college. Or plan a date night for you and your SO to learn how to cook with one time cooking classes or series. The options are endless and can work around your schedule. San Francisco Cooking School offers courses that teach how to make the latest food trends. Whether it’s learning how to master bread dough or cooking your way through a popular cookbook, you can learn more about the culinary arts through a class or program at the San Francisco Cooking School. Michelle Aronson does triple duty as a farmer, chef, and teacher. Her cooking classes use veggies grown fresh from her farm as she teaches you how to prepare a variety of dishes in your home, office or rental space. If you’re spending time in Santa Barbara or want a fun activity for your staff, check out the unique cooking classes that Aronson offers. Le Vallauris Restaurant is one of Palm Spring’s oldest and most famous restaurants. Closed during the hot summer months, once the restaurant opens for the year, you can take classes and learn from the cooking demonstrations by the restaurant’s executive chef and pastry chef. The classes are super popular, so try booking as far in advance as you can. Cooking with Class offers a variety of workshops each month. 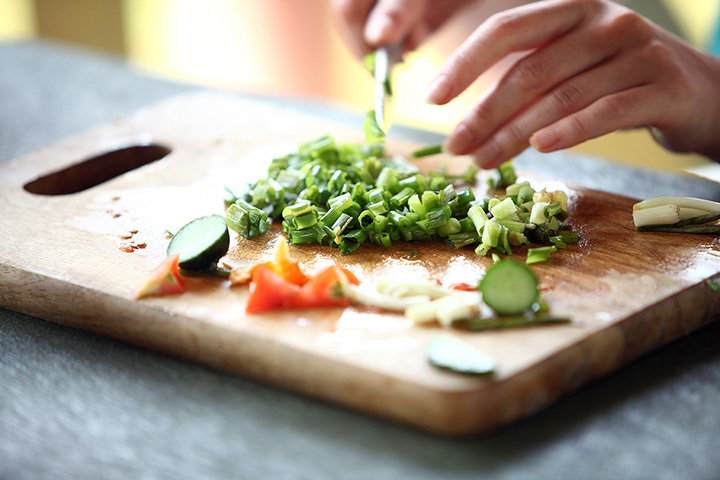 Check the schedule ahead of time to see what classes could help you improve your culinary game, whether it’s learning how to properly handle a knife or how to make your favorite restaurant recipes at home. Kitchen on Fire has been named as one of the “25 Best Cooking Classes in America” by The Daily Meal. There are a wide variety of classes focusing on different types of cuisines and techniques, taught by some of the top chefs in the world. Classes focus on everything from regional specialties to specific tops so that you can cook or you can sign up your teen. There are also courses that last for longer than a single class as well as opportunities to create classes for training and other exercises.